Most often the mention of the word limousine evokes in your mind is that of luxury and class. It is true that limousines have become the go-to vehicle for all glamourous events and special occasions. 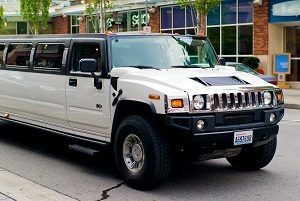 Limo hire companies have made it possible to use such cars and take full benefit of their characteristics. But how much do you know about limousines? Apart from the use mentioned above of these vehicles and the direct associations of class and luxury, there is a whole world of limousines. The name has French origins – it is believed that the word ‘limousine’ originated in the Limousin region of France. It is not certain whether the word was used in regards to the first designer of the vehicle or a protective hood worn by shepherds of the region. The latter may be true, as early automobile drivers utilised a similar hood as means of defence against the elements. Car A/C – if you thought limousines are cool before, you will think of them as even more now. The first version of vehicle air conditioning was tested in limousines. Luxury car companies did this in 1933 in New York. Air conditioning seemed like a fitting extra to add to limousines and was met with great success, despite the early inefficient prototypes. Famous bands largely used band houses on wheels – limousines. When these vehicles were introduced, and the public gained access to them, they were immediately taken by big bands. That is where the popular nickname ‘big band buses’ was developed from. Few of the most popular bandleaders that made good use of limos were Artie Shaw, Benny Goodman and Glenn Miller. There are multiple types of limos – although these vehicles mostly use the word ‘limousine’, there are in fact various varieties. In fact, it is more accurate to denote the category of cars and not a given type of it. There are numerous differences in the limousine world. The major distinction is between traditional and exotic limos. The latter are usually more colourful and flashy; often custom-made vehicles armed with plenty of add-ons. Traditional limos are mostly stretched sedans or saloon cars. The longest limo in the world – built in California mid-1990s, the Cadillac Eldorado is regarded as the longest vehicle in the world to fall under the category of a limousine. It is equipped with a Jacuzzi, a king-size waterbed, a driving board and even a helicopter pad, believe it or not. It is not street legal, despite sporting a huge number of wheels – 26, to be precise. 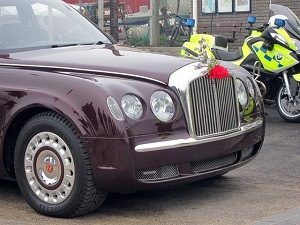 Every president’s limo bears a name – the unique combination of high-end features, as well as perfect style, contribute to famous names of all president limousines. Obama’s ‘Beast’, Eisenhower’s ‘Bubbletop’ and Roosevelt’s ‘Sunshine Special’ are all famous for their names. Limousines are fascinating vehicles, and these facts associated with them only prove this. You can learn even more about them when you book with a limo hire company.